Farrat has partnered with NBS Plus to provide architects and designers using the NBS (National Building Specification) system with a ‘one-click’ specification function for Farrat products. Managing multiple suppliers and contractors can be time-consuming and costly, especially for projects requiring specialist solutions where there is a need for bespoke products or a combination of bespoke and standard products. That’s why thousands of architects, architectural designers, engineers and consultants use the RIBA NBS system across the country, when preparing specifications for construction projects both large and small. We recognise the importance of understanding our client’s requirements, which is why we continue to invest in ensuring our products, services and training seminars are accessible and technically sound. Thanks to our recent listing on RIBA NBS Plus, our products can now be instantly added into project specifications by our clients and more products will be added to the Farrat profile over the coming months. 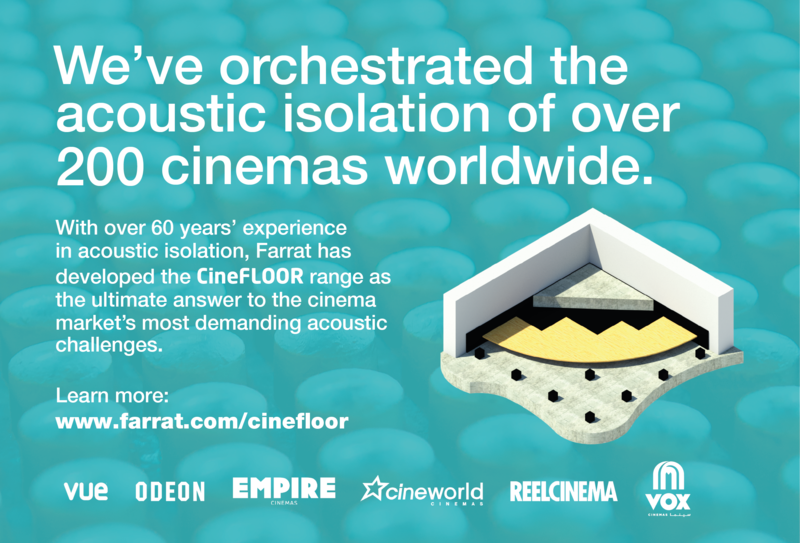 To specify a Farrat product, visit our Riba Product Selector profile or submit an enquiry to our Technical Team. 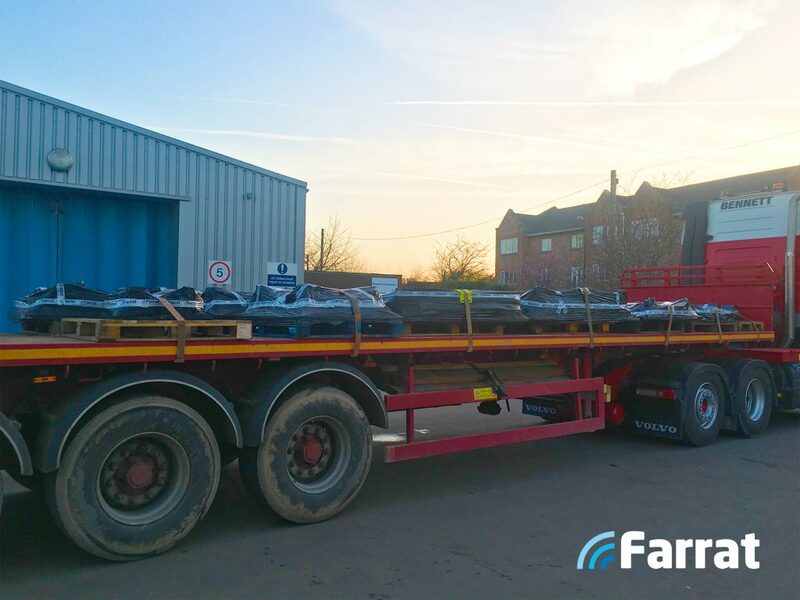 Alternatively, contact us to discuss a specific project by calling: +44 (0) 161 924 1600. 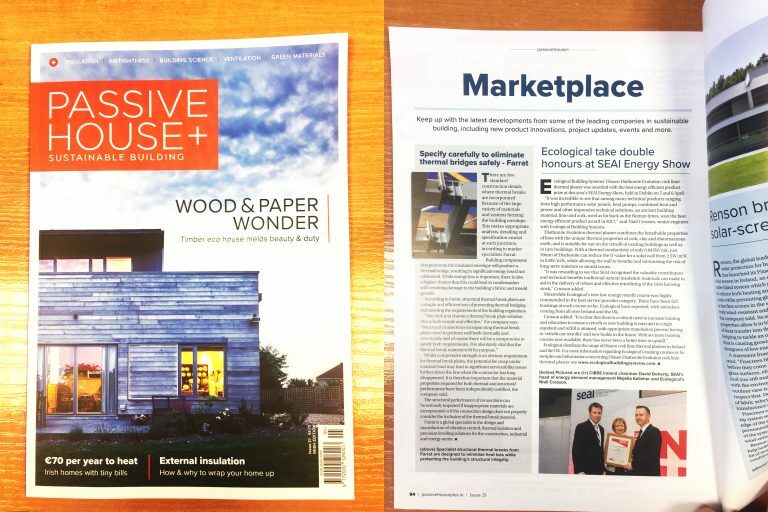 This month, Farrat have been featured in Passive House+ Sustainable Building Magazine, advising structural engineers and designers on how to specify carefully to eliminate thermal bridges in buildings and structures. Energy efficiency is an increasingly important parameter in building design. 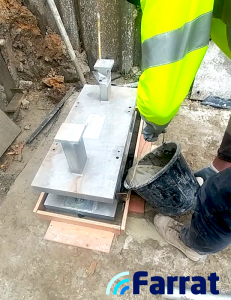 Building components that penetrate the insulated envelope will produce a thermal bridge, resulting in significant energy loss if not addressed. Whilst energy loss is important there is also a higher chance that this could lead to condensation with resulting damage to the building’s fabric and mould growth. Farrat have been bridging the gap with specialist Structural Thermal Break Plates for decades, therefore we know that appropriate analysis, detailing and specification are key to achieving good building performance. There are few standard construction details where thermal breaks are incorporated because of the large variety of construction materials and systems forming the building envelope. 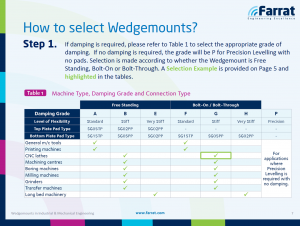 The trick is to choose a thermal break plate solution that is both simple and effective. 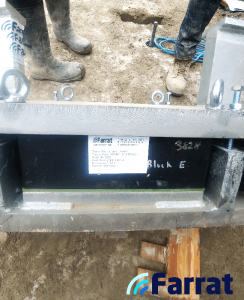 Structural connections incorporating thermal break plates need to perform well both thermally and structurally and of course there will be a compromise to satisfy both requirements. It is absolutely vital that the thermal break material is fit for purpose. Or for more in-depth advice, you can request a copy of our Technical Guide for Structural Thermal Break Connections here. Farrat Shear Keys provide lateral movement restraint together with vertical acoustic isolation. 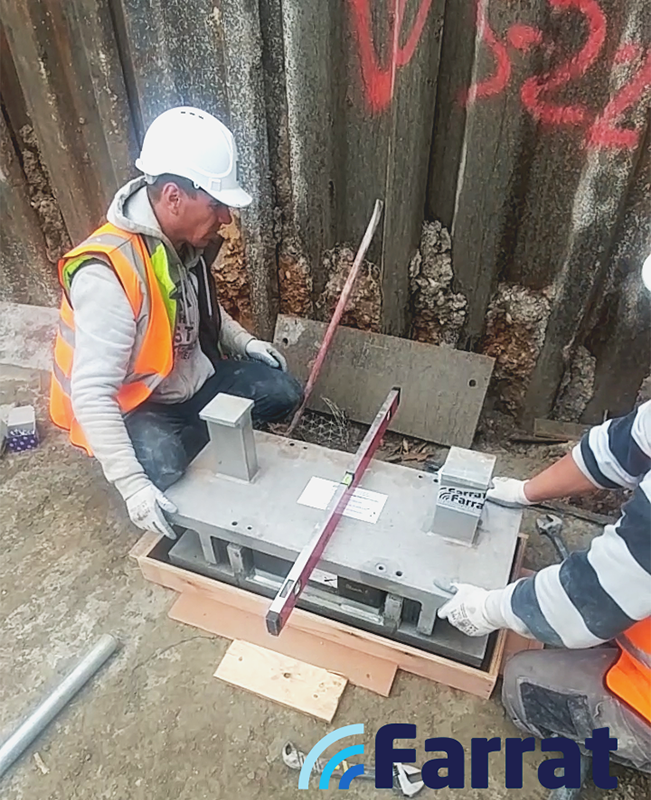 They have been designed to provide high vertical load capacity, which facilitates an efficient design that usually eradicates tension in the walls, and high shear loads to minimise the number of assemblies required, which is vital on this project due to the proximity of railway tracks on the north and South-West of sides of the site. To read more about high capacity vibration isolation systems for buildings, visit our Building Vibration Isolation page. 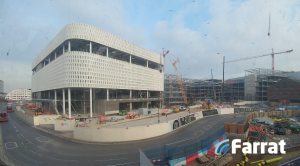 To discuss a project with one of our structural or acoustic engineers, please submit a Technical Enquiry or Call +44 (0) 161 924 1600 and ask to speak to our Technical Team. 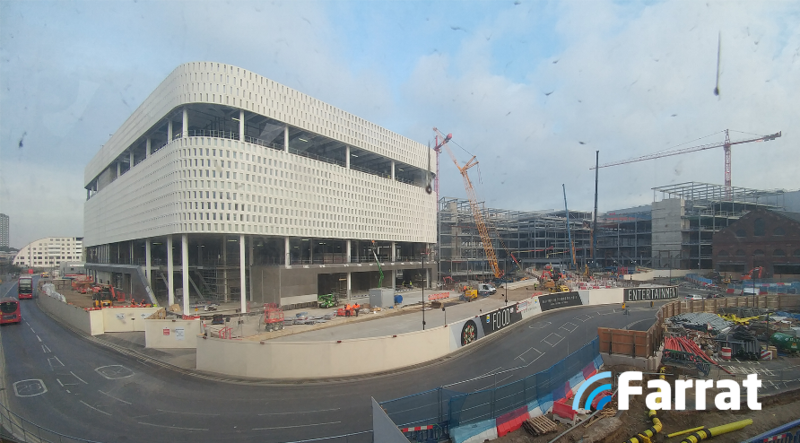 Structural bearings for the next stage of the Westfield White City project were dispatched yesterday from the Farrat factory, as progress on the site swiftly moves forwards. 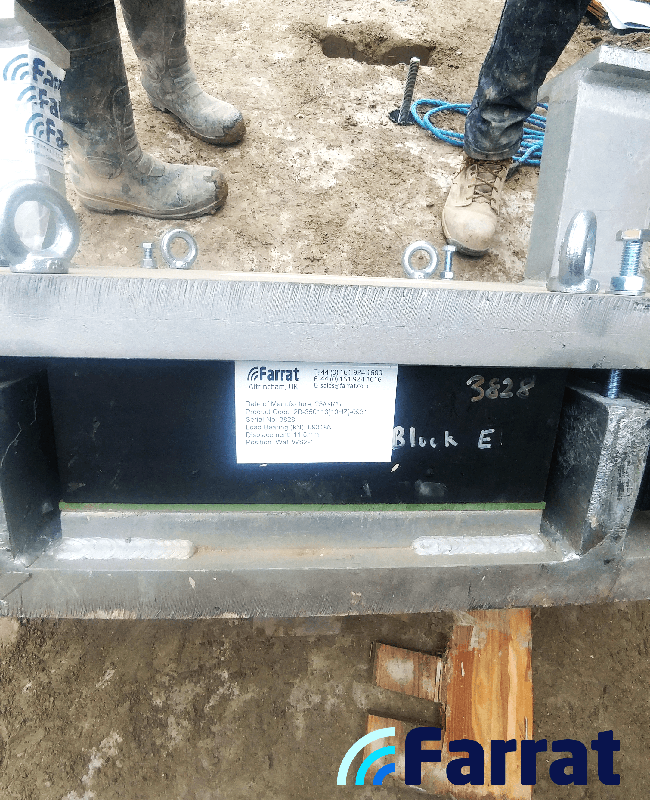 For more information on this project or for enquiries regarding Farrat Structural Bearings, head over to our new Building Vibration Isolation page or contact us.